If you haven’t heard of Pedro Winter, you must hate electronic music, have no access to the internet, or else live in a cave! If this doesn’t apply to you, you will have listened to one of the many artists on his label Ed Banger Records maybe without even knowing it. DJ, producer, art director, and boss of the Ed Rec label, Pedro «Busy P» Winter shifted from being an emblematic figure of the Parisian underground to the Frenchman who makes the whole World dance. At only 34 years old – 12 of which spent managing Daft Punk (six millions albums sold) – the man who discovered Justice is established as the golden boy of electronic music. Yet, this former skateboarder, fan of hard rock, stumbled upon his career by chance. As a real club kid in the early 90’s, he went out every night. David Guetta soon spotted him and gave him a chance at the mythic Palace club where he held his first parties in 1995. In that temple of Parisian nightlife an impressive list of talents with a bright future were to be found. Daft Punk of course, but also Mororbass, Dimitri From Paris, Dj Cam and more. The ‘French Touch’ was born and Pedro was already a major part of it. One year later while Daft were recording their first album, they asked Pedro to become their manager. His career was launched. And it has paid off. Between the Justice hits and the World tours, Pedro is more ‘Busy’ than ever. These days, he tends to spend almost as much time on planes than in his office. To really see this you only have to look at his hectic schedule. From three consecutive years at SONAR to COACHELLA in 2008 and 2009, Pedro has played at some of biggest festivals worldwide. Moreover, hefound time to squeeze in a U.S tour in March in 2009. This was followed by the LEVI’S UNBUTTONED EUROPE TOUR. 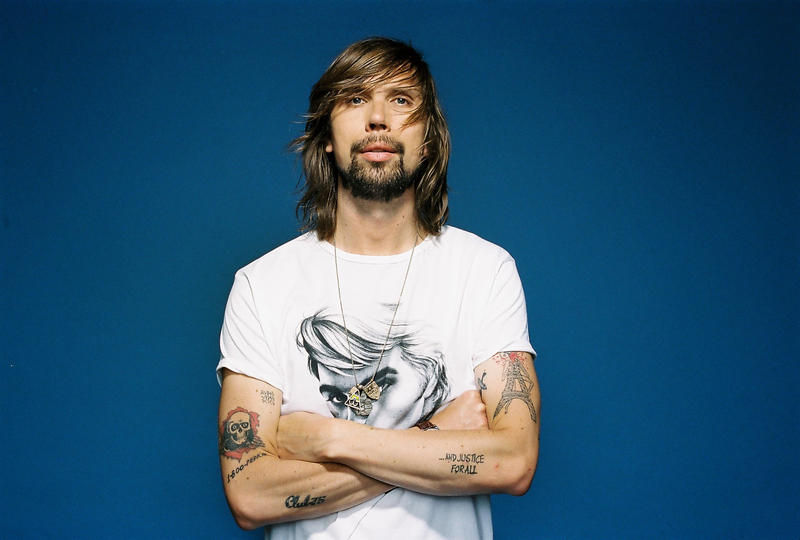 This fall has also been booked up, since Busy P has plan- ned an Australia tour and a European tour with EASTPAK. Aside from collaborating with several brands, links between labels have given birth to some epic parties. The STONES THROW VS ED BANGER and WARP/ED PARTY with Warp Re- cords will be etched on our memories for a long time! As a good artistic director, he was one of the first to realise the potential offered by the In- ternet and to appropriate these new modes of communication « Today the kids come back home and don’t turn the T.V on anymore, they dash over to their computer and choose for themselves what they want to watch or listen to. The advantage with the web is that there is no more buffer between the artist and the public. That’s what really makes the difference… » And it works, with more than 50 millions plays on MySpace all artists tincluded, Ed Banger is unmistakably the label of the moment. Pedro manages to find the time to diversify his activities, and his brand. Driven by the de- mand of the fans, he created the COOL CATS blog with So Me. The blog is closely linked to the Cool Cats store, which sells their merchandise, including a limited edition pair of Nike Air Force One’s, designed by Pedro and So Me.